#AusOpen's tweet - "He's done it! @StefTsitsipas knocks out defending champion Roger Federer 6-7(11) 7-6(3) 7-5 7-6(5) to reach his first quarterfinal at a Grand Slam. 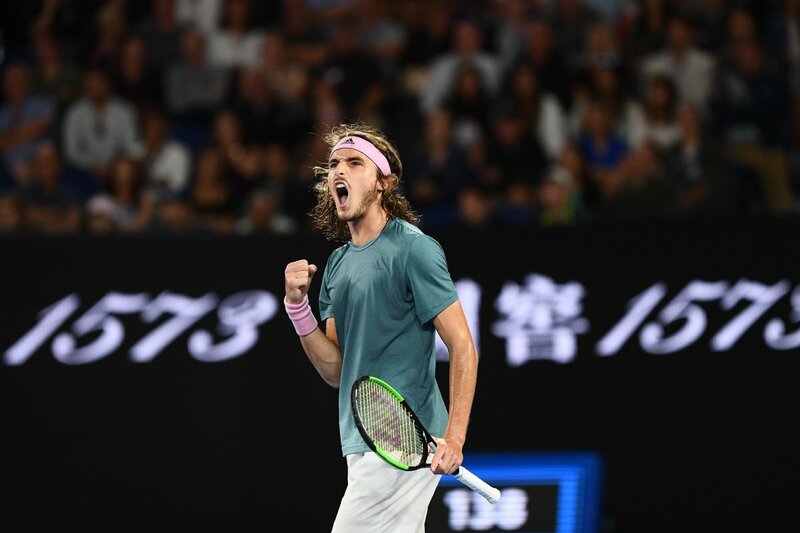 #AusOpen #AOFiredUp "
@StefTsitsipas knocks out defending champion Roger Federer 6-7(11) 7-6(3) 7-5 7-6(5) to reach his first quarterfinal at a Grand Slam.